As a child I remember listening to a story over and over again from my grandmother. It was the story of Dhanna Jat. A simple peasant who began worshiping a stone as God for once an irritated priest just told him that a stone was God. Dhanna prayed to that stone with a clear heart and before eating always offered a ‘Bhog’ to the stone. (He offered his meal to God before he ate it himself). Dhanna was a simpleton so he refused to eat food if God did not appear to share the meal with him. So one day, when Dhanna wouldn’t relent, Lord Krishna really appeared and tasted his food. After the meal, Dhanna in his simplicity told Lord Krishna to not just eat but also work in his fields. Lord Krishna took the form of a peasant and worked in Dhanna’s fields all day long. This happened for a few days and suddenly a lot of prosperity came to Dhanna. Soon it hit the priest that it was actually God who was working in Dhanna’s fields. Dhanna had seen God in a stone while the priests in the temples didn’t manage to do so even after severe prayer and penance. This story has many version but I loved this adaptation the most. Mostly because of the way my granny rendered it. Each time she would burst out laughing when the part about Dhanna Jat telling Lord Krishna to work in his fields came. We never got tired of the story and somewhere the story fitted itself deep down in my subconscious mind. Perhaps it’s because of this story that I have never believed in idol worship. Stories have a way of ensuring that a lesson is deeply ingrained in one’s mind and the lesson remains with one for life. Why do we use stories ? I never quite understood the immense power of storytelling until I became a storyteller myself. I read several books and articles on how powerful stories are but like they say until you don’t see it unfolding before your eyes you never quite believe it. 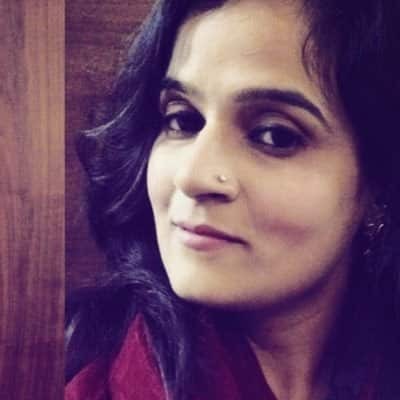 That’s exactly what happened with me – I would conduct one storytelling class a week and children would remember the stories word-to-word even after several months. This versus six hours of school and they don’t really remember much, honestly, got me thinking. That’s when I experimented some more and began creating stories for teaching. We created themes with Maths stories, Science Stories, History stories, Geography stories and it’s not hard to guess what happened, is it? The results were phenomenal the children (4 – 12 years) picked up concepts, managed to recall them clearly and even began connecting and reasoning things out. Ah, the magic is working I beamed with joy! So how do stories work? 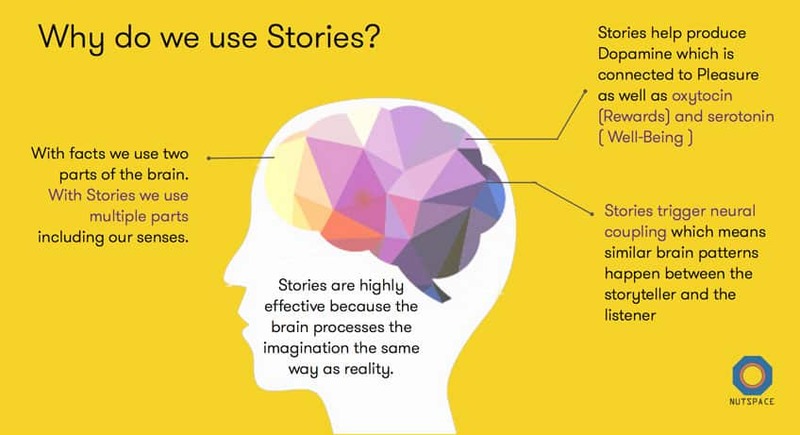 Our brain is hardwired for stories. You feed the brain a story and many parts of the brain get activated. The listener begins to visualize, imagine, emote and literally live the story. The thin line between reality and fiction begins to blur. A story well told can put your whole brain to work and that’s how a story ensures learning for life. Surprisingly the same story told a second time may elicit an entirely different reaction from the brain. So each time you hear a story, even though you have heard or read it before, you unleash something new for yourself from it. As a storyteller, an early years educator and a mother to a 5-year-old, I have witnessed the immense power of storytelling. Every story I have heard or told so far lives within me and makes me the person I am today. So what story are you planning to tell today?